This is not the most popular choice, but it is a very sound opening and puts a lot of pressure on the white player. White needs to enter very sharp lines in order to get an opening advantage. So, let's get started! This eBook is a reference companion to the video series, available for €11.99 (or $12.99). If you want to see and hear Jan provide detailed instruction on this opening, you can purchase the series, which will also give you access to this eBook. 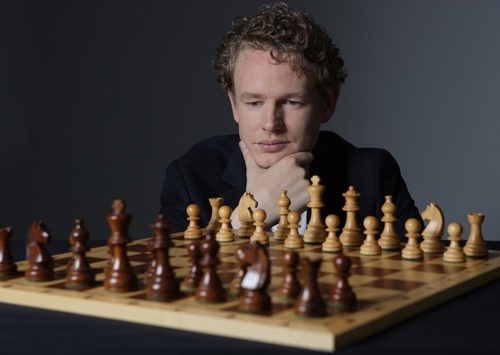 Grandmaster Jan Gustafsson tackles the biggest "tabiya" there is after 1.d4, the position after 1.d4 Nf6 2.c4 e6 3.Nf3 d5 4.Nc3. Jan recommends the underrated move 4...dxc4, the so-called Vienna, and provides a repertoire for Black against all of White's options. To provide the viewer with a complete repertoire against 1.d4. This series can also be watched as a standalone guide for those interested in learning the Vienna.